To create SplashScreen with ProgressBar idea is to put a popup visible till start page is ready. Very first you need to create UserControl for the Splash Screen with Progress Bar. In the UserControl, let us put below three controls in Grid. ProgressBar to display progress status. Below function will open user control in popup. You need to call below function inside the constructor of application start page. By pressing Ctrl+W set width and height of the image as 480×800 Pixels. Right click on the project and add existing item. Select above saved image [from step 4] and add in the project. You need to make call to service and download data in back ground thread. 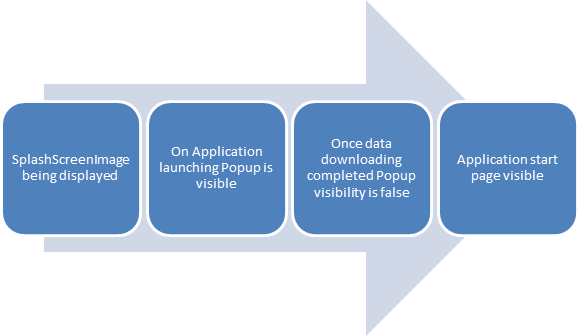 Once data is downloaded make popup visibility to false. Create a function to load data and instantiate a background thread in that. In Do work you need to make a call to WCF service. // call service here . 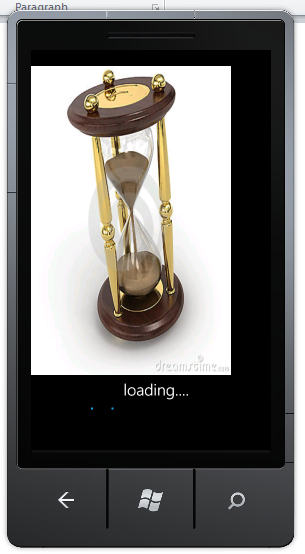 This is what all you need to do have a slash screen with progress bar in your application. I hope this post is useful. Thanks for reading. nice way of explanation .